A faithful bird watches over her nest. 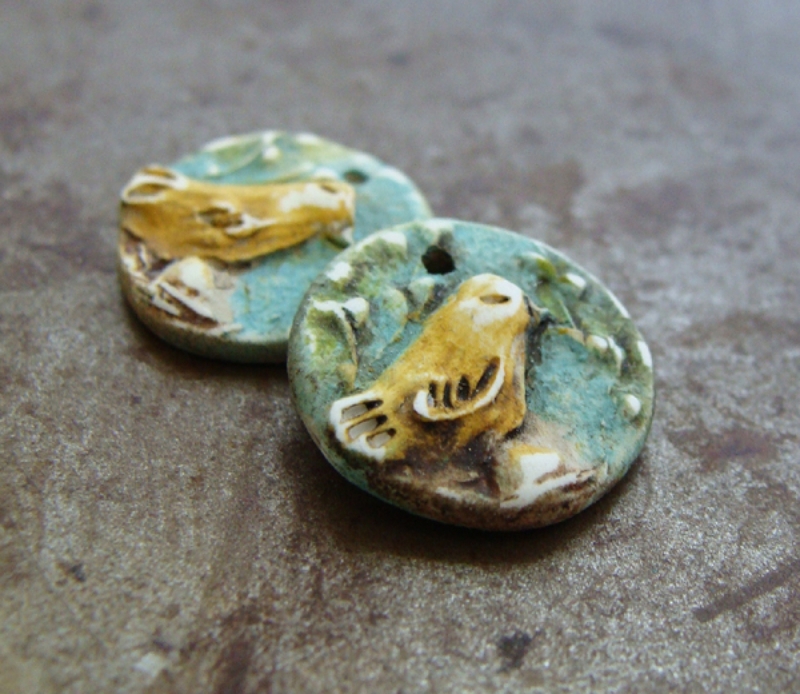 The bird and nest charms look great for earrings or as pendant. 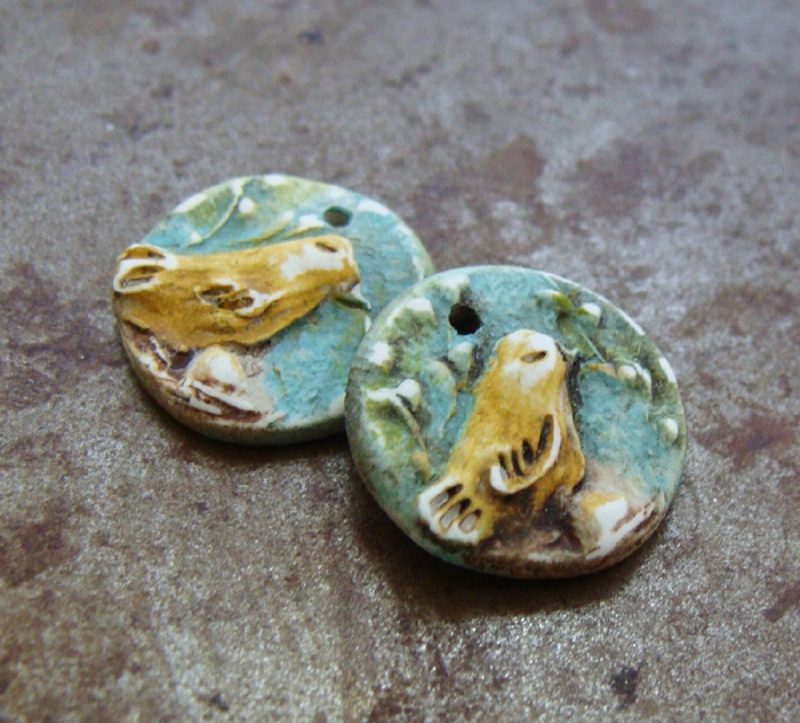 The polymer clay charms started out from an original carving and hand painted for a watercolor effect. The paint is sealed with a protective finish. THIS LISTING IS FOR TWO CHARMS. 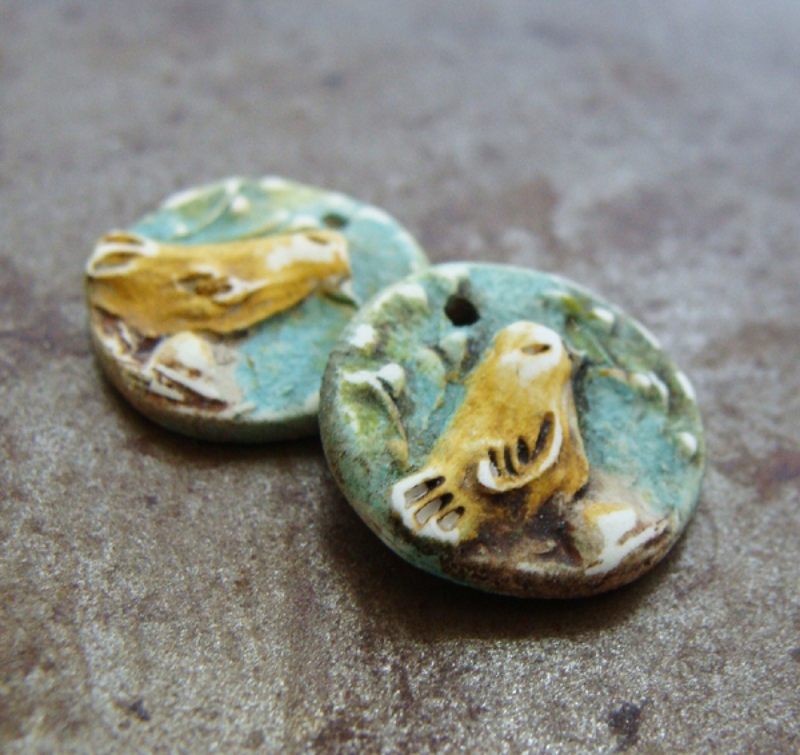 Pair two together for earrings or use it on a necklace or bracelet. These charms are very small - please take note! The charm measures 16-19mm wide and 2-3mm thick. Wire-wrap a bail or use a jump jump to attach the charm to your designs.